Have you ever thought about becoming a professional animal communicator? 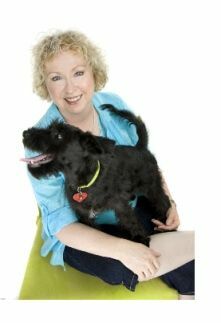 If you love animals and you know how to talk to them, the idea of making a living as a professional animal communicator talking to pets can be very exciting! You know your animals have secret lives, thoughts, feelings and wisdom. Professional animal communicators are trained to be able to hear them, understand them, and communicate with them so they share their innermost thoughts. I’ve been working professionally as an animal communicator since 1993. And at this point in my career, I’m well respected as one of the top people in my field. I’m a frequent guest on radio, I’ve been on tv, I’ve written books and am a contributing author to other books, and I’ve been a columnist for several publications. I love teaching and working with people and animals all over the world, sharing the animal’s voices and wisdom, bringing more balance, peace of mind, joy and love into the hearts of my fellow animal lovers. Back in the early 1988, I started my own corporation doing market research and I was miserable. It was a company I’d created after I graduated college with the help of 2 of my college professors and several of my student colleagues. Although I was pretty good at it, it didn’t make my heart sing. And after 4 years of being in business, we closed the doors because I was dying inside. I had contracted Lyme Disease and was very ill, in chronic pain, and I was getting sicker as time went on. I was also married in an abusive relationship. It was a very painful, difficult time in my life. I didn’t know exactly what I was going to do, but I decided that whatever work I did do for the rest of my life would have to be meaningful in some positive, world changing way. I wanted to do something that made a difference AND that made my heart sing. So I began praying and researching to find something I could do that would make that happen. In all of my soul searching, I realized that the only area of my life that had consistently brought me joy was being with animals. So I decided then and there to do something to improve the lives of animals in whatever way I could. That single decision point opened up a whole new world for me. The first time I actually heard an animal talk was if it were a person talking to me…. Then I realized the horse was communicating with me! So I asked some questions to see if what I was hearing was accurate. It was. Then I asked Valkyrie about her hip injury, and she ended up sharing with me the original experience and what happened. It felt very visceral to me as she was describing what had occurred. Miraculously, as the horse shared her story with me, the muscle knot began to melt and disappeared completely right before our eyes! My friend was so impressed, she started taking me with her to see her other clients. We discovered that my work communicating with the animals before, during and after her hands on work made a huge difference with the animals and their recovery process. One day she took me to an Pre-Olympic Trial Dressage Competition at the San Antonio Rose Palace. While I was there, I met a Frenchman named JP and his extraordinary Grand Prix dressage horse. When JP heard that I could talk to horses, he immediately wanted me to work with his horse. It turned out that Okzident would behave perfectly in practice, but would mess up his cues in the show ring. JP couldn’t understand it. So I asked Okzident what the deal was and what he told us was brilliant and to the point. He said that he was tired of being overworked, that he wanted to be acknowledged for a job well done, and that he wanted an apology. He knew that the only time he could “get back at” JP was in the show ring where he couldn’t be punished, and so he deliberately sabotaged their performance out of his anger. When I told JP what his horse had told me, he offered an insincere apology to which Okzident turned his backside to us and swished his tail! Once JP calmed down and considered what Okzident had to say, he realized that his horse was right on all accounts. He offered a true apology the next go around to which Okzident went to him, put his head on JP’s chest over his heart, and accepted it. They went on to win their competition! Early the next morning I was awakened by a phone call from JP asking when I could come to Houston. He had other horses and riders who needed my help! And that was when I decided to go professional. JP introduced me to Shirley Johnson who had competed in the Olympics. Shirley had gotten an expensive young Trakhener gelding and he was not doing well in training. She brought me in to work with him and I evaluated him. Then, they brought in a vet specialist vet who also evaluated him. Our findings were 100% in agreement, except for the 1 additional thing I found that the vet had no way of testing for. Another very valuable Arabian dressage horse had almost torn his hind foot off in a trailering accident. But he was so unpredictable, dangerous and fussy, usually there was no way that my bodywork friend could safely access the area she needed to work on without being in fear for her life. In fact, she’d already told the owner that she wouldn’t work with him anymore. Well, she thought that there was a chance he might cooperate if I worked with him first. So she asked me to let him know what she was going to do and why she was doing it. I carefully explained what we wanted to offer him, and asked him if he wanted the help. I asked him to make certain promises of good behavior because she literally had to lay under his belly and get between his hind legs to reach the area to work on it! He happily shook his head up and down, lifted his hind foot up where she could look at it, and then took a statue pose from which he did not budge one inch during the session. I’m delighted to tell you she was able to do just that and he was completely cooperative. 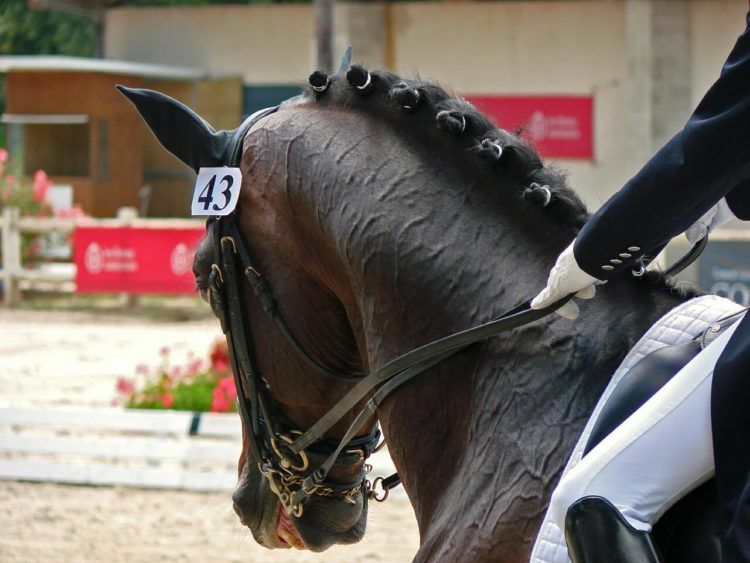 Instead of being retired and living in pain the rest of his life, he recovered and began competing in dressage again. This was the start of an incredible journey working professionally with animals all over the world. I went on to work with world class Grand Prix dressage horses, hunter jumpers, cutting horses, and every horse in-between. And of course, I’ve also worked with thousands of dogs and cats and birds and rabbits and ferrets and elephants and…. I love my work, I love my clients, and I love the transformation I’m able to facilitate for them on so many levels. Learning to communicate at the heart and energetic level, how to really listen to others, to grow spiritually and become enlightened through our interactions with the animals who share our world is often an epiphany experience… and I get to share that right along with each of my clients. A management issue, such as inappropriate training, wrong diet, wrong equipment, etc. 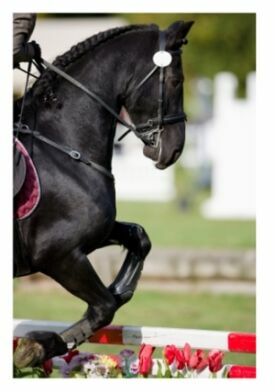 Whether their saddle, bit, bridle, or other equipment is truly comfortable or if it’s interfering with their ability to focus, concentrate and perform to the best of their ability. Not answering these issues can cause disease, illness, mystery health problems, and behavior challenges, if it’s not taken care of properly and in a timely manner when it first crops up. If you have an animal that is not doing as well as you think they might, then you owe it to them to give them a voice through animal communication. When you take the time to listen to what your animal is trying telling you, then you can always achieve much better results. After many years of solving problems with animals, I realized that I had created a unique proprietary system I call the HEART System(tm). R – Clear Resistance: Change tends to create resistance, might feel risky, it can be emotionally charged, not logical, is fear based, yours and theirs. If either of you is afraid, either consciously or unconsciously, then nothing you do together will be safe or easy. So let’s clear that so you can get to the really good stuff. T – Establish Trust: everything you do with your animal revolves and centers on Trust. If you’ve lost your animal’s respect, lied to them, didn’t follow through on a promise… from their viewpoint you are out of integrity and not to be trusted. If that’s the case in your relationship, then you have some work to do to reestablish trust. The good news is that when you know how to listen, to respect and to communicate with them, that goes a very long way in helping your animal decide if they can trust you. And once you have trust back as a foundational part of your relationship, your animal will love you for it and will be that much better and be even more forgiving of your mistakes. Plus, when you’re linked at the mind and heart, everything you do together gets WAY easier, is a lot more fun, and becomes a joyful experience. I’ve covered this very briefly here. 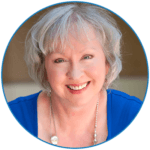 Would you like to talk with me about how we can apply the HEART system for your pet so we can help them be their very best, avoid costly mistakes, and improve your relationship? I only have space to talk to the first 10 people who apply, so be sure to get in as quickly as you can. If you too feel the CALL to become a professional animal communicator, then I’d love to help you do exactly that! 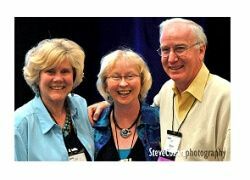 Start with The Heart School of Animal Communication to build your fundamental skills, then you’ll be ready to join the next Go Pro program for students! IMPORTANT! Leave a comment below. Why do you want to learn how to talk to animals? Thank you for your interest and love of animals! Together we can make the world a better place for ALL of us. Animals are so much more than we give them credit for. It’s amazing when we connect. What an amazing talent you have! Consulting and animal communicator changed my understanding and love for my dog. I took an animal communication class but I stopped practicing.I got caught up in work and daily routine. Last year my dog reminded me that he was here to help me learn a lesson and work through my fears. I’m determined to do it now and yesterday I purchased one of your courses. Thank you Val. Hey I just read ur story and I think it was wonderful that I helped those horses,so I’m gonna be a professional animal communicator when I’m older. My friends think it will be a bad joe but I will my job because it includes animals. Thankyou you have inspired me Thankyou again.